I am fortunate enough to live on Canada’s Pacific rim. Here, because of the ocean, and our proximity to China and Japan, we get to enjoy a huge variety of delicious, and often cheap, sushi. I love sushi, and I eat it at least once a week. Edamame is another gift from Asia. 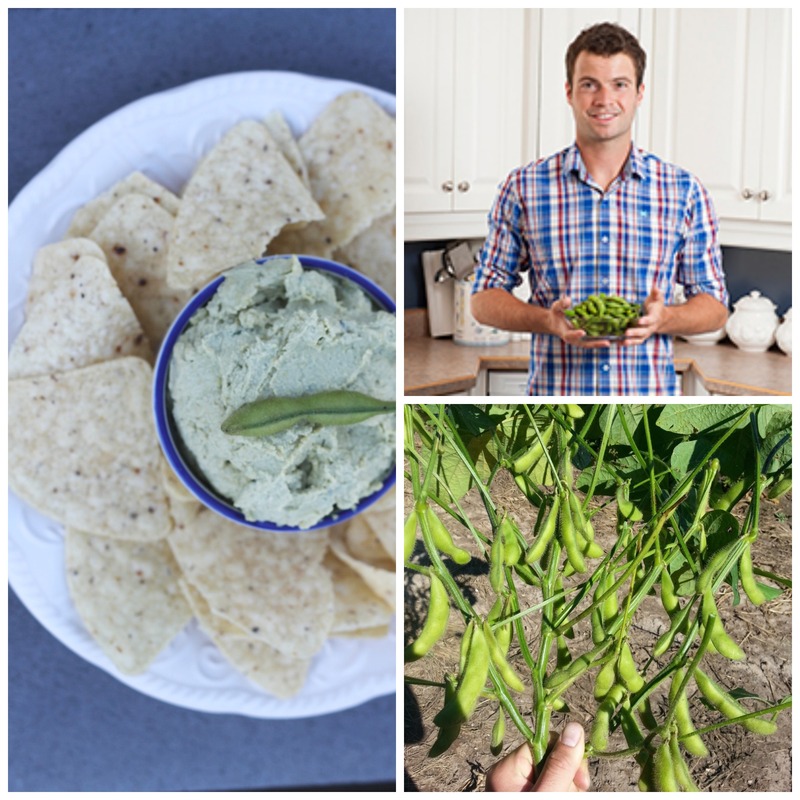 This tasty young soybean bean is often served as a kind of bar snack: it’s salty and something you eat with your fingers. The vast majority (99%) of all the edamame we eat in North America comes from China. Until now. These tasty li’l beans are also super good for you! Like all beans, they have lots of fibre, are low in fat, and rock the protein. Many people like to serve them just as they are–blanched in boiling water for about 5 minutes, and then sprinkled liberally with salt. You just pop them out of the shells and enjoy. I decide to do something a little more complex with mine, and turn them into a hummus. Hummus is one of the world’s most perfect foods. It’s vegan, gluten free, and is full of protein. You can serve it as a dip, or you can put it in a sandwich or a wrap. 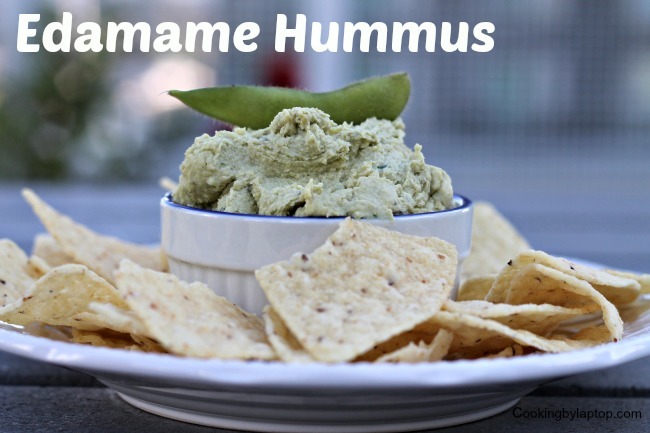 This is my version, made with Edamame instead of chickpeas. It creates this beautiful, bright-green coloured dip that you can enjoy in so many different ways. Throw all the ingredients in a blender or food processor, and puree until smooth. Taste and adjust seasonings. Let sit for an hour or so, and then serve with your favourite chips or raw vegetables.